Implementing change in an organization is not an easy task. It requires careful planning and meticulous execution to succeed. But if you take the right steps and have a proper plan, things become easy. E-learning is no exception. Here is our compilation of 14 best practices to ease your e-learning implementation efforts, gleaned from years of experience in the e-learning field. As a first step, identify your training needs that can be met with e-learning. Then assess how far these training needs are aligned to your business goals, which may be cutting costs or reaching your sales goals, to justify the investment in e-learning. To identify e-learning needs, you must have a formal process of collecting and documenting the training needs. Specific surveys and feedback forms filled by employees and the management will help you identify their training needs and opinions on e-learning. Involve the various directors or managers who would be the stakeholders of your online training initiatives. This will help them acknowledge the need to integrate e-learning with your training programs. E-learning may not suit every training; you need to choose appropriate subjects. You must do this by testing the programs you have identified for e-learning; provide learners the material in traditional settings as well as online. By assessing learners and comparing scores, you can assess the effectiveness of delivering these training programs online vs. traditional methods. The results will help you select training programs suitable for e-learning. The next step is to check the readiness of your organization to accept e-learning. Carry out a detailed readiness analysis to know this. 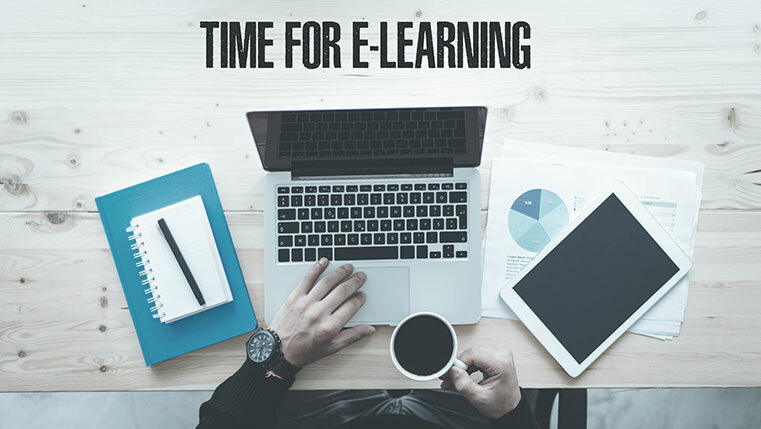 There are seven important readiness factors you must consider before implementing e-learning – psychological, social, environmental, human resource, technological, financial, and content readiness. Let’s take a brief look at each factor. Psychological readiness – Assess the attitude of employees and top management towards e-learning. Social readiness – This deals with the interpersonal aspects of the environment in which the learning will be implemented. Assess how social and interactive learners are with each other. Environmental readiness – Assess the internal and external factors in your organization that can influence e-learning. Human resource readiness – Assess the availability of staff, both internal and external ( from a vendor) that will impact the success of e-learning. Technological readiness – Assess the technical skills of your employees; their ability to handle e-learning. Financial readiness – Assess the budget required to implement e-learning. Content readiness – Assess the availability of content for conversion to e-learning. A lack of or reduced readiness to any of these factors does not mean a halt to e-learning implementation. It implies taking measures to improve the readiness factors for e-learning success. Personal barriers: Employees unwilling to take responsibility for their own learning and their resistance to change. Learning style barriers: Your learners fear e-learning will not suit their personal learning styles. Instructional barriers: Employees are not updated on the benefits of e-learning, so they cannot comprehend how they will personally gain from it. Their reluctance toward learning is an instructional barrier. Organizational barriers: The cost implications of e-learning compared to traditional training methods. Content barriers: Factors include high expectations from the course, irrelevant course material, poor quality and inadequate information, and poorly designed assignments. Situational barriers: An employee’s circumstances and situations that influence his ability to undertake the course. Technological barriers: The quality of the LMS, Internet connectivity, and navigation problems could be some potential barriers. Identifying these barriers and finding solutions are an important factor in e-learning implementation. To convince top management of the benefits of e-learning implementation, do a side-by-side analysis of the cost of delivering one hour of e-learning versus a classroom session. Compare the costs for an hour of trainer time, learner time, travel costs, opportunity costs, and loss of productivity with the development cost of one hour of e-learning. Compare the existing training practices and e-learning and highlight the benefits e-learning will bring to the business such as reduction in the time taken by employees to complete tasks or their ability to perform new activities. Another important aspect to decide is whether to have an in-house team to build the courses, buy off-the-shelf courses, or outsource your requirements to a vendor who provides custom e-learning solutions. If you decide to build your e-learning courses in-house, consider the effort and cost factors that come with hiring and maintaining an extensive in-house team for your needs. These are some situations where you can decide to buy or build your e-learning courses. The decision should ideally be based on what learners need, the course requirements, and your development expertise. If you have decided to outsource your e-learning project, choose a reliable custom e-learning solutions provider. 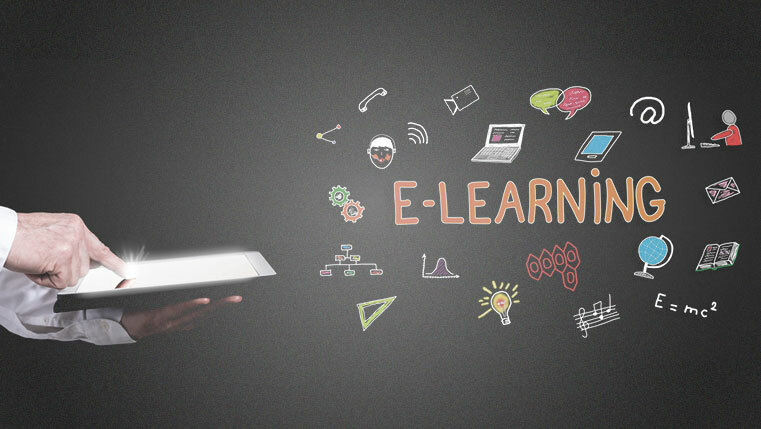 Know the key areas of e-learning development and ask potential e-learning vendors the right questions. Invest in an open source LMS such as Moodle or use the internal servers in your intranet to host courses. Another alternative is to buy off-the-shelf courses which can be hosted on the vendor’s LMS, which saves you from investing in an LMS of your own. Consider a commercial LMS once your e-learning is well-established and employees get used to e-learning. Investing in an LMS and customized courses to meet your training needs can be an option. Department heads must be made to understand the e-learning plans for their group and more importantly, their role in implementing them successfully so they can communicate them to their teams. Communication between management and employees must be continuous and feedback mechanisms are important to iron out issues. Feedback from employees and department heads on a regular basis will help gauge the success of the initiative. Evaluation of employees with realistic goals and success criteria will help measure the effectiveness and know what works and what does not in the program. This will help make changes to the program. E-learning implementation need not be a daunting task, provided you know the best practices and follow them.